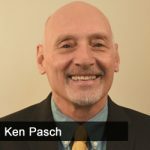 Gary Pinkerton is joined today by Air Force veteran B-52 bomber pilot Ken Pasch, author of On Course: Become a Great Leader & Soar!, about Ken’s journey to become a leader and some of the myths that accompany the idea of leadership. When Ken originally was put in a leadership position, he quickly realized that he didn’t really know how to do it effectively. Fortunately, leadership is a skill you can learn and improve, and Ken did just that. Now Ken runs Ki Visions and helps develop the leaders of tomorrow. [18:11] Everything Ken read was about what a great leader is, not how to become a great leader. Then, one day, he found a way to connect the dots.